PAJ: This is a guest post by Mario Renato Iwakura, who comments as “Mario” and is our resident authority on hypothyroidism. At chez Jaminet we’ll be placing an order for tapioca starch soon to give this recipe a try. Looks scrumptious! 1. 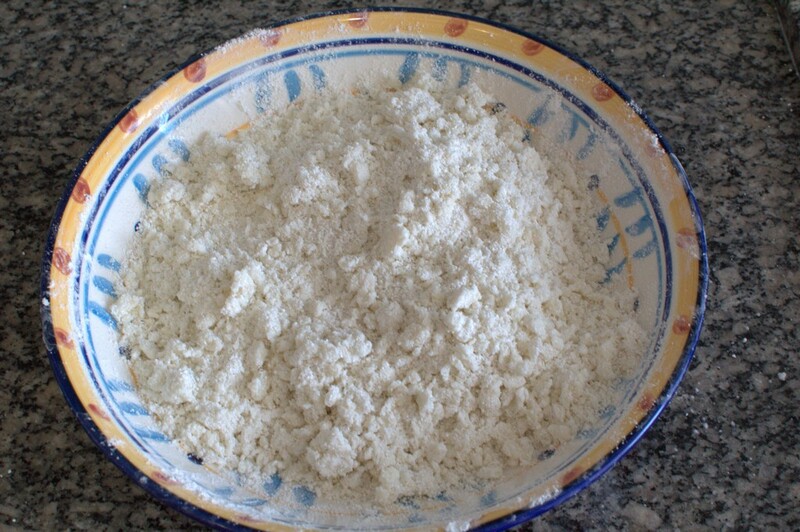 Put the tapioca flour in a bowl. 2. 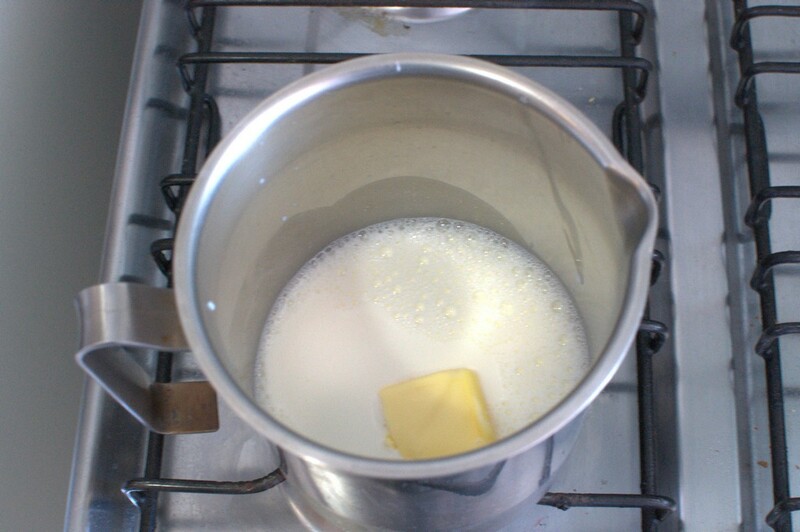 Heat the milk, butter and salt together to just shy of boiling (90ºC, 194ºF). 3. 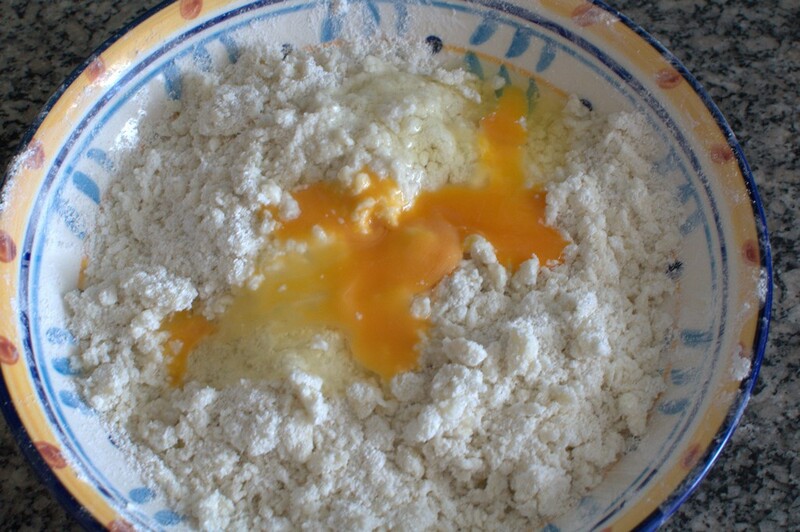 Slowly blend the milk-butter-salt into the tapioca flour stirring constantly until thoroughly mixed. 4. Let the batter cool and then add the eggs. 6. 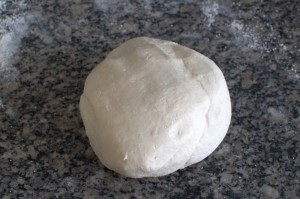 Add the cheese and knead again until smooth. 7. Form into balls of around 30/35g (1/1.2oz). 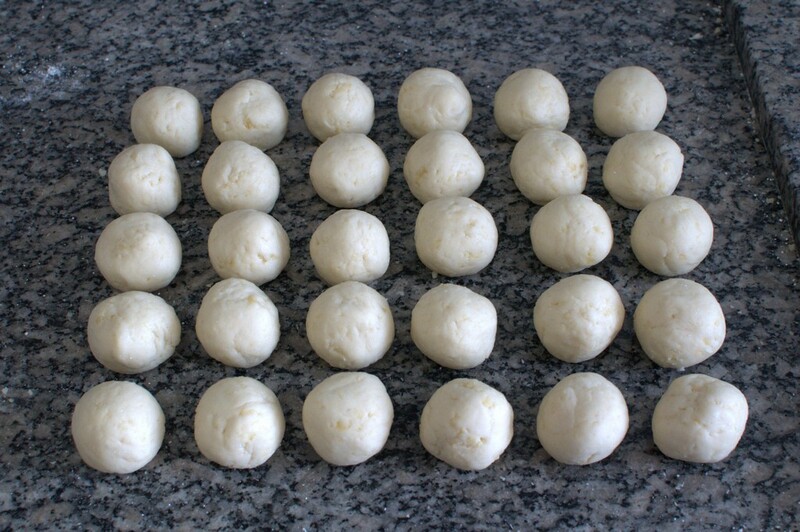 The recipe will make around 30 balls. 8. Bake in a pre-heated woven (200ºC/400ºF) unti golden brown (around 20min if not frozen). a. 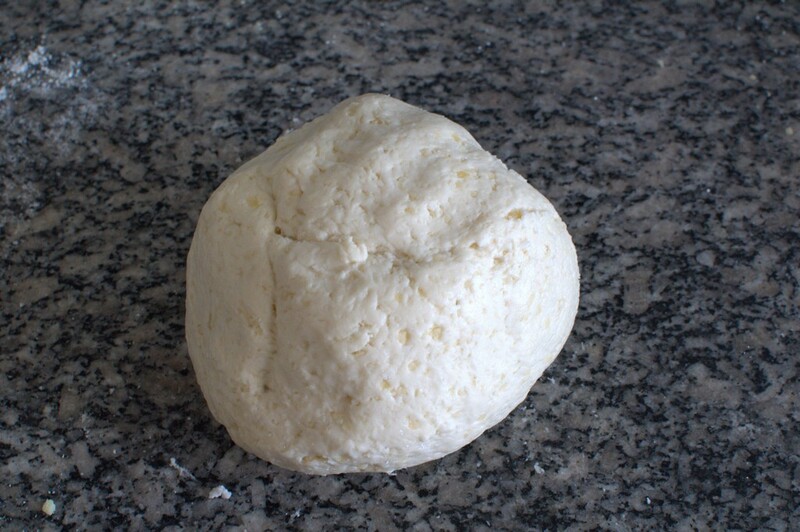 The original recipe calls for “Queijo Minas Curado” (ripened Minas cheese), Minas Gerais is a Brazilian state. b. If you think that parmesan is too strong, you can use a mix of parmesan with another cheese. c. You can add little pieces of gorgonzola, bacon, garlic or parsley to the balls. d. Sour tapioca flour makes a tastier cheese puff. e. Tapioca/manioc/cassava flour or starch is all the same thing. f. The balls can be frozen. These look delicious! 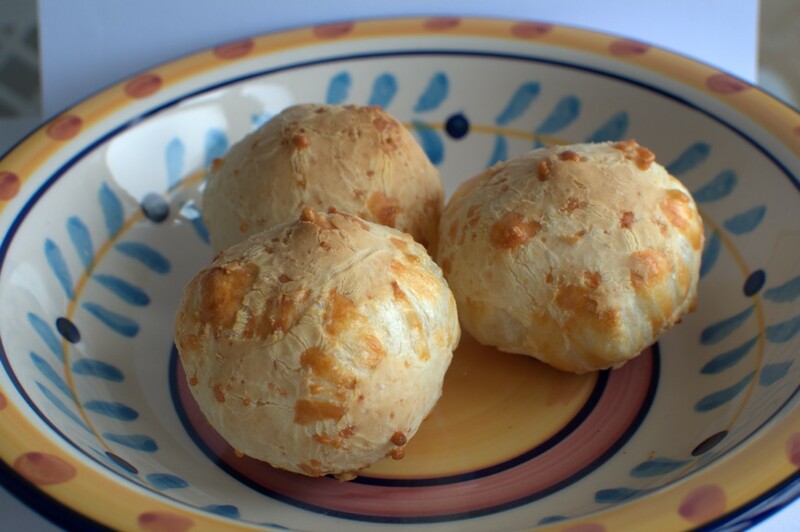 I’ve tried and really enjoyed Pão de Queijo many years ago I never thought I could make them myself:) Will have to try now. Thanks Mario! I just want to agree to how delicious these are. We use a modified recipe (add about 5 more eggs, take out cheese and use cream in lieu of milk) for pancake batter. These cheese balls are really easy to make – follow the recipe once, and you don’t need worry about measuring subsequent times, they are forgiving. funnily, I was inspired to try pancakes (actually crepes, the thin french ones) yesterday eve with ordinary potato starch(! 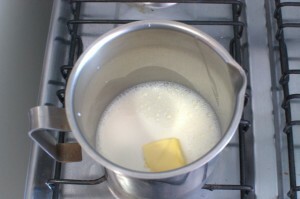 ), eggs, butter, milk, salt. I fill them with a ground beef dish (left over from day before) and added parmesan. Made some simple baby spinach+ruccola salad as a side. Kriss do you have an actual recipe for the crepes? My husband really misses pancakes and I’d like to make these for him. Thanks. erp, have you tried coconut flour pancakes? I make them every now and again, and they’re fantastic. They don’t taste quite like a traditional pancake (more of a mildly sweet donut taste), but they always get rave reviews from our SAD-eating guests. That said, I’d love to try Kriss’ pancake recipe too! We make potato pancakes a lot, I’ll try to get Shou-Ching to put a post together. They’re her specialty. Sounds like the recipe for pancakes is tapioca starch, eggs, cream, and a bit of butter and salt. Sounds healthy for sure! Eric, do you think I can substitute potato flour for the coconut flour? Paul, thanks some pancake recipes would be great. 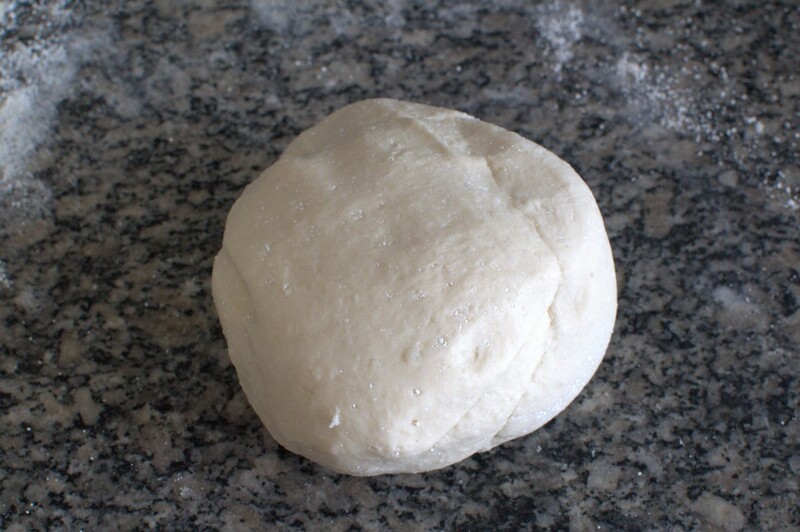 Does Shou-Ching make bread, muffins, or rolls? My poor husband is starting to flounder. Shou-Ching hasn’t baked anything in years, but she says she’ll start experimenting with rice powder/flour, potato flour, and some of that tapioca flour Mario recommends. We also have a commenter who is working up a recipe for sourdough rice bread – no idea how that will turn out! One could also try buckwheat or some of the other non-grain starches that we talked about earlier. Starch will come out weird if I use potato flour instead, is that correct? Ok to use tapioca flour instead of starch in your mixture aswell? To try and import them in out luggage when we visit the USA. The flour instead that we have a lot of here. Thank you for all your work in this area, it is all invaluable. BTW – In the comment above, I meant to say my husband is foundering and thanks to all for cooking tips. I’m planning to some experiments with a mixture of hazelnut/potato flour or macadamia/potato flour to create something bread-like. Hi Franco – Thanks for the help with buckwheat. 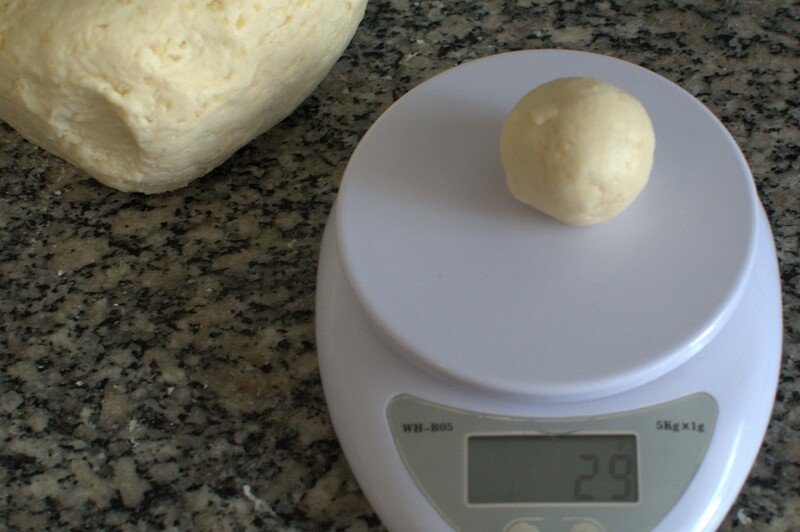 We would love to report on your baking experiments – good luck! “preheated woven” should be “preheated oven,” if that’s not obvious to everyone. My first impression was that a “woven” was some kind of kitchen equipment I didn’t have, maybe a basket of some kind. How do you make the sour tapioca? I’m trying out this recipe today, but I wonder if you have other ideas for uses for sour cassava flour? I bought it unknowing exactly what it was and without knowing it was sour. I’m thinking “regular” bread, but I’ve also consideres if it would be possible to bake some kind of cake or something. There’s the cassava cake, but it seems to call for fresh grated cassava and thus not the sour flour. Sour cassava is not a substitute for fresh grated cassava. You can use sour cassava flour in gluten free bread recipes replacing regular cassava flour. Thank you so much, Mario. 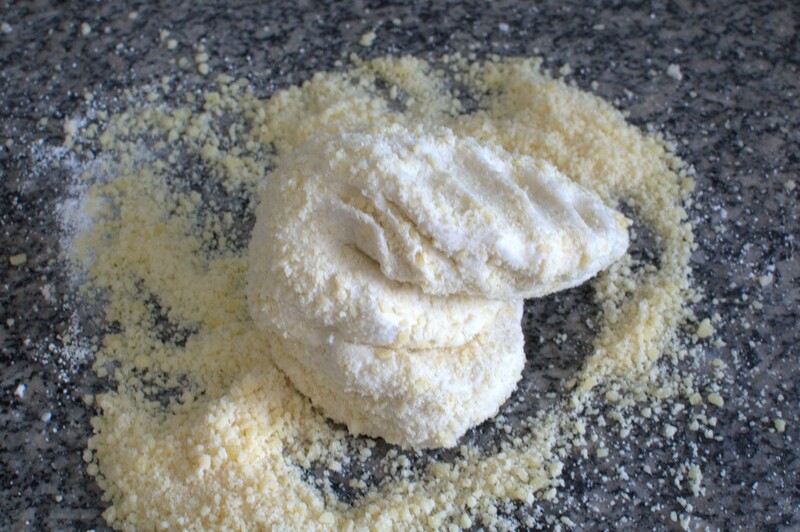 My sour cassava flour is pretty coarse/gritty (looks more like grated, dried cassava); my puffs didn’t really puff today, but I didn’t add cheese, so that may have a saying. 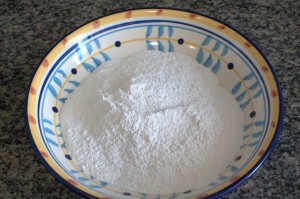 Where did you buy sour cassava flour? In a brazilian shop? Some brands are coarser and others are as thin as regular cassava flour. I bought it in my local middle-eastern-far-eastern-anything-not-Danish shop. The bag says “White gari”, which I’ve found is an African product, but it’s still cassava (fermented). Thanks for the inspiration Paul – these are huge fun! I made up a batch to accompany my Italian-inspired Shell/Fish Stew: http://livingintheiceage.pjgh.co.uk/2011/10/italian-inspired-fish-stew.html … although I made a few tweaks. The flour I used was Mogo flour from a local Indian food retailer. It’s cassava flour in any language, although I’m not sure if it is regular or sour. I used olive oil instead of butter, added in minced garlic and swapped out the parmesan for pecorino and well as exchanging a little milk for soured cream to give an especially sour flavour. They are tasty aren’t they? But Mario deserves all the credit. Your fish stew looks great … we’ll have to try that ourselves! Wanted to thank Mario and PHD for this recipe. It is wonderful. I have been making a variation of this recipe from the simplyrecipes.com website. I use butter instead of oil. Have experimented with cheeses. Marscapone makes it brioche-like. The mini muffin pans are great and the muffins can be made in small batches (so they are yummy and warm when eating). The remaining batter can sit in the fridge for a week or so. YAY, something to soak up my egg yolks. 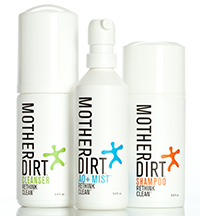 Dierdre – I found your website as well, while looking at tweaking the recipe. You appear to pour out the mix more as a batter. While they do souffle, they do appear to drop … which is not a problem … but, I wonder what they’re like inside? Next time, I think I’ll form the dough around a good chunk of cheese for a real treat. I may well try a wetter mix and see if I can get it to rise like yours. I guess, deviating from the recipe altogether, some baking powder might help them stay puffed up. Either way, bravo Mario and thanks to Paul for bringing this excellent accompaniment. To Paul H. I think the trick (I forgot to mention) is everything at room temp. It is a batter and they don’t or haven’t yet “dropped like a soufflé” for me. I don’t know what the real ones taste like but these are moist inside but a nice toasty crunch on the outside. When cut into….there is a sort of airy space….perfect for a chunk of cheese or meat or pate. The comments to the recipe have lots of tips. Good luck. I was thinking of stuffing them with cheese and then baking them, but you’ve struck on a blinding good idea there Deidre! Break open and a warm bite-sized ball, stuff with paté and eat. I’ve lived in Brazil. This recipe is a dead ringer for the real thing. I like to use Kerry’s Irish cheese or Dubliner cheese, but parmesean works very well. Even using those strong cheeses, they don’t end up tasting particularly cheesy. However, if you don’t like cheesy tasting bread, a bland cheese like mozzarella will work in the recipe. Ditto for using them as a pate delivery device, and as something to soak up egg yolks. They’re typically served as a snack with a cup of coffee in Brazil. If you make them twice the size of the recipe above, they’ll turn out more like a dinner roll size which is great for chicken/tuna salad sandwiches. In that case, cook at 350 for 25 -30 min. Also, I once added 1/4 cup too much liquid and was going to throw the batch out but my fiance said “pizza crust”, and so it was. Don’t remember how much crust it made but I think it was enough for a 14″ pan. I haven’t had any luck finding bitter cassava flour so am using Bob’s brand tapioca starch. However, if you get the course cassava flour, maybe just run it through a coffee grinder or food processor until it’s light and fluffy. I suspect the courser stuff is more nutrient dense than the tapioca starch. In Brazil, people have personal preferences for sweet or sour manioca (tapioca). Both are delicious. i have been getting rice biscuits from Whole Foods no gluten section. it does not taste sweet but does have some cane sugar & xanthan guam. i don’tk now how bad it is. so i have been thinking about making my own. I don’t have tapioca powder handy — haven’t been to go to a Chinese grocery last week. so i substituted with 1/2 potato starch & white rice powder. am not sure know how to convert between weight (grams) to volume. my batter became too batter, not dough like your photos. but they still taste tremendous! 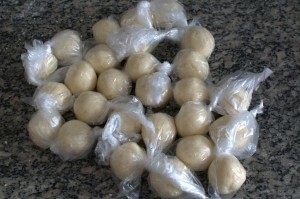 does these Cheese Buns or let`s say the tapioka flour raise my bloodsugar, I am T2 diabetic. 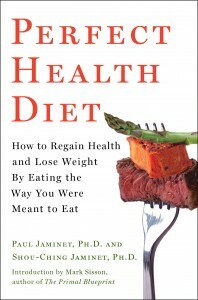 Living in germany I love bread and rolls, since reading your book I am looking for a safe alternative to wheat / gluten based products without raising my bloodsugar. Any starch is effectively sugar. Very not good for blood sugar. Tapioca flour is actually starch. Rice flour is starch. Just a nicer name for sugar. All nutrients, including glucose and fructose, are beneficial up to a certain point, and are only harmful in excess. Would whole cassava flour (i.e., Ottos, or some other starchy whole food flour like green banana flour) work for this recipe? It’s my understanding that tapioca is the pure starch from cassava, where as cassava flour is the whole tuber.